I GREW up in the North Central part of Nigeria, in an area that is predominantly populated by Muslims. This is because my father, an Anglican church elder had reason to live and work amidst people of different religious and ethnic orientation. Growing up was peaceful and I am filled with memories of companionship with my Muslim friends; we played on the streets, watched movies together, we attended the same schools and I grew up learning to read in Arabic. We attended ‘Ile-kewu’ (A place where one learns how to read Holy Quran) together; we had fun to the extent that we were oblivious to what some saw as obvious differences in our names, religion and tribes. My memories of Ramadan seasons in our Muslim neighbourhood are those I can never forget: We broke the fast together, we shared the meat and milk together, and many other such pleasant memories experienced as a young boy from a Christian family growing up in an Islamic neighbourhood in Nigeria. We had peace living together as people, as human beings and one Nigerian family. During the Easter and Christmas season, we shared the delicious rice and chicken with our Muslim neighbours, some of my Muslim friends often followed me to the Christmas carol and special Christmas events; we felt at home living together as Nigerians. Yet now I often wonder: Whatever happened to peace? As a fresh university graduate from the Western part of the country, I remember being posted to the North to serve the Nigerian nation under the National Youth Service Corps (NYSC) Scheme, I received the letter with joy, and the mandatory one year of service mostly spent among Muslims in the Northern part of Nigeria was peaceful and filled with pleasant memories. Recently, a group of people who are collectively referred to as Jama’atu Ahlus-Sunnah Lidda’Awati Wal Jihad, known the world over as Boko Haram, an extremist religious sect in Nigeria are creating chaos across the country and this group has completely altered the peace we once enjoyed together as a people under one nation. Its vicious attacks on government offices, corporate organisation’s offices, police headquarters and churches threaten to subvert the country, and jeopardise the peace and unity of our dear country. 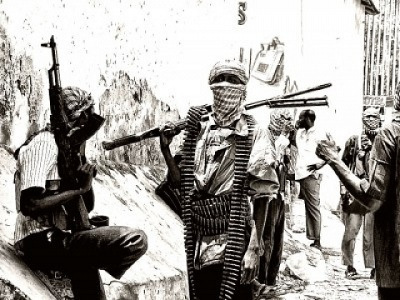 Series of conflicting tales have developed around Boko Haram, and the group’s origins, motivations, and intentions remain a subject of discussion. My intention in this article is not to amplify the horrors and the errors of Boko Haram but to reflect on the past and situate my point on peace for the Nigerian state. I write with deep concern for our people, and for our collective existence as a nation, and I sympathise with the families of those who have been victims of the horrific Boko Haram’s murderous escapades. Nigeria has suddenly become known for being violent; religion and ethnic violence have become the norm. How did we get here? My experience revealed Islam as a religion of love and peace; like most Nigerians, our experience living together was never that of violence and trepidation. The ‘Boko Haram’ insurgence is alien to our religious landscape, and I have a strong feeling that this group of individuals are being used to destabilise the progress Nigeria has been making. A Nigerian friend of mine recently shared his experience with me for instance. He is a student at a foreign university and when he was asked to introduce himself like every other student in the class at the beginning of a new course, he did as appropriate. The lecturer surprised my friend when he asked him jokingly: ‘I hope you are not a Boko Haram? Everybody laughed it off but my friend picked up the undertones inherent in that message. This demonstrated the enormity of damages being done to our national image that is spreading beyond Nigeria at an alarming rate. Nigerians in the Diaspora might not be direct victims of the perpetual ‘Boko Haram bomb blasts, but the psychological effect of being identified with a nation notorious for corruption, drug peddling and recently ‘boko-haramism’ is enough to make anyone sick and tired of these negative hyphenations. While no one could argue with the facts that there are few Nigerians in the Diaspora who negatively represent our national image; there are many who are in fact contributing in no small measures to building our image, in the various countries they are domiciled in. Our plight as a nation should be directed towards building our nation’s image because clearly the Nigerian brand is currently suffering. Some of our honest businessmen are affected, the moment you speak and your accent reveals your nationality, then they start asking questions; even merely introducing yourself as a Nigerian could scare some people away. Many Nigerians back home might not be able to relate to this but no doubt a Nigerian living in the Diaspora will appreciate what I am trying to say. Ours is not a nation of terrorists and terrorism and we as a people must reject these terminologies in strong terms and without equivocation. We must reflect on the cord that bounds us together as people and we must reinforce the respect we once had for our individual differences. Some are seriously agitating for the disintegration of our nation as a panacea for peace, some people think that the Muslims and the Northerners are the trouble, but I differ completely with these schools of thoughts. I strongly believe that the factors and forces reinforcing Boko Haram are exogenous, while I might not be able to substantiate this hypothesis; I draw my conclusion from past experiences both personally and nationally. I am not of the belief that Boko Haram represents Islam, at least not the Islam that I know. Let us reflect on our past in order to gain insights into our future, as we seek solutions to our present challenges. Nigeria is a nation that is already loaded with too many vices and adding terrorism to our already dented image is inflicting more pain on our collective psyche. The way forward is to have the courage to embrace peace. I dream of a Nigeria where respect for our individual differences will be restored, where people will be free to practice their religion without prejudices; nowadays, people go to church to pray with one eye open, while the other is closed in prayer, for the fear of being attacked in the place of prayers. There are furthermore political and economic challenges our nation is facing, our education sector is deteriorating; the electorates are not fully enjoying the dividends of democracy: the crime rate is on the rise, and now we have religious and sectarian violence, where do we go from here? The plight of our nation for sound economic growth and development is plagued with diverse challenges, and Boko Haram is complicating these issues through perennial bomb blasts and intimidations; foreign investors are scared and even some multinational corporations are leaving the country, too much trouble for a growing/struggling economy like ours. During my years of growing up it never crossed my mind that a day will come in our history as a nation when some group of people will set a church or a mosques ablaze, or kill each other for the sake of their religion. How could one have thought that innocent lives would be slaughtered on the altar because of religious differences? We had the audacity to respect and value one another in an atmosphere of peace, and this should continue to be our collective responsibility, change is possible! • Arowolo wrote from University of Cape Town, South Africa.